Thadd+Friends: Free Penn Station fries! 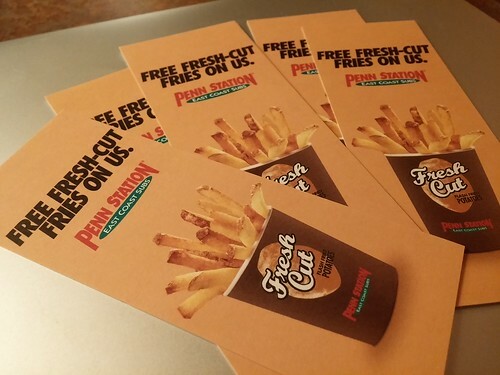 We received five coupons for a delicious, free small fry at Penn Station East Coast Subs. Penn Station has some of the best fries around! Thanks Penn Station and Powers Agency!